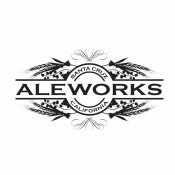 Leapset - Santa Cruz Ale Works. Arugula, scarlet kale, cherry tomatoes, baby bell peppers, rainbow carrots, cucumbers and celery tossed in our tangy balsamic vinaigrette and topped with crumbled blue cheese. Fresh Kale, kalamata olives, crushed hazelnuts, sunflower seeds and house made croutons tossed in our honey Caesar dressing and topped with Parmesan cheese. Oven roasted pork loin, smoked ham, cherry peppers, pepperoncini, house made pickles, Swiss cheese, spicy mustard and garlic aioli pressed on a French roll. House smoked pastrami, roasted pablano relish, crispy bacon, pepper jack cheese and chipotle aioli on a pressed French roll. A large helping of assorted cured meats topped with mozzarella cheese and toasted on a Dutch crunch roll. Finished with fresh veggies, basil, red pepper relish and our tangy vinaigrette. Oven roasted pork loin, fresh cucumbers, cilantro, pickled carrots and jalapenos topped with garlic aioli, siracha and tzatziki on a pressed French roll. Our smoked pastrami, home-made sauerkraut, Swiss cheese and house made 1000 island dressing pressed on swirl rye bread. Seasonal roasted veggies, red pepper relish, house made hummus, pickled onion, spinach, tomato and mozzarella cheese topped with tangy vinaigrette, garlic aioli and served on a pressed French roll. Toasted, buttery white bread, filled with Swiss, mozzerella, and cheddar cheeses. Smoked chicken and ham, our smoked garlic spread, blue and mozzarella cheeses melted on an onion roll. Topped with pickled onions, arugula and finished with our smoked jalapeno dressing.